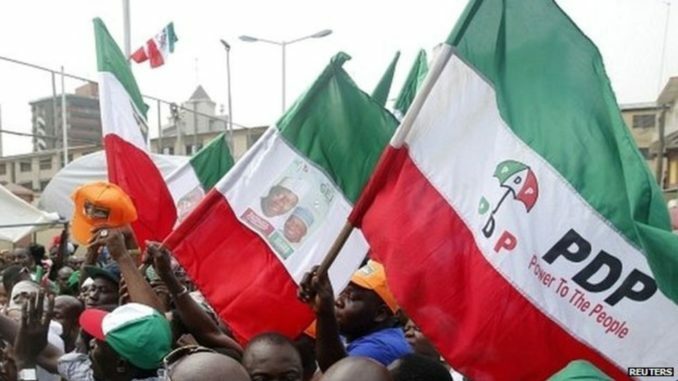 The Bauchi State Chapter of the Peoples Democratic Party ( PDP) said it has uncovered plots by the state commissioner of police, Ali Aji Janga to take side with the ruling All Progressives Congress ( APC) in the Saturday supplementary election in the state. The Chairman of the party in the state, Alhaji Hamza Koshe Akuyam who stated this on Friday at a press conference in Bauchi called for the redeployment of the CP to guarantee free, fair and credible elections. 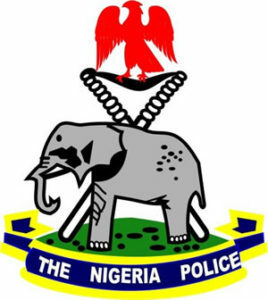 He said that, “the PDP is seriously concerned ‎on the modus oparandi deployed by the commissioner of police, Bauchi state command on the impending rerun elections scheduled to hold on Saturday 23rd March, 2019”. “Reliable information at our disposal indicates that the commissioner of police, CP Ali Janga held a conference of his senior officers and divisional police officers of the 15 LGAs where the supplementary election is to be conducted”. The PDP Chairman alleged. He said that the alleged meeting took place on 21st March, 2019 at the police officers mess adjacent to Zaranda Hotel, Bauchi. Alhaji Hamza alleged that the CP categorically directed DPOs in the affected areas to deliver the result in those units in favour of the APC or face sanctions including losing their positions as DPOs. “What we found more dumpfounding is his directives to the DPOs, that should they encounter agents of the ruling APC buying votes during the election they should look the other way”. Hamza further disclosed. According to him, the CP however instructed his men to arrest any agent of opposing parties who would challenge incidents of vote buying by the APC and charge them with the offence of causing disturbance or disruption of the electoral processes. Hamza said that PDP was shocked to hear that the CP said he was acting on orders from above. The PDP Chairman said that they are aware of the CPs frequent nocturnal meetings with Governor Abubakar and the Resident Electoral Commissioner for Bauchi, Ibrahim Abdullahi in secret locations on how to rig the election for the APC. He said that the actions and utterances of Janga violate the norm, practice and conduct expected of a Senior Police Officer as well as negation of established laws including the Electoral Act on matters of security during elections in Nigeria. The PDP Chairman said, “I and the party I represent have lost total confidence in CP Ali Janga and cannot trust him to supervise the security apparatus in the conduct of the re-run elections in Bauchi state”. “We therefore call for his immediate removal and appeal for the posting of a competent police Commissioner for the exercise”. He added. Alhaji Hamza said his party remained committed to the peaceful conduct of the re-run and is not afraid of the outcome of the election. 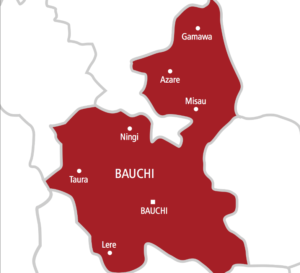 The Independent National Electoral Commission ( INEC) had yesterday told journalists that the re-run will hold in 15 out of the 20 Local government areas of Bauchi state where guber results were cancelled. The Resident Electoral Commissioner in the state , Alhaji Ibrahim Abdullahi had said that the affected Local Governments has a total number of 22,759 Registered Voters but did not give the actual number of PVCs collected in those areas.